Q. The water coming out of my tap is cloudy or milky? This sometimes happens when you first install your new filter cartridge. The cloudiness is harmless, compressed air. To remove it, the cartridge needs to be flushed for 3-4 minutes. If your water pressure is low then it may need to be flushed for longer. Q. There are tiny black particles in my water. What’s wrong? Nothing’s wrong with the filter. It’s just that the filter cartridge hasn’t been flushed for long enough and there’s some leftover carbon powder from the manufacturing process. It’s harmless and easy to fix. Just open the tap for 3-4 minutes. This will fully activate the system and clear it. Q. The water flow out of my tap is very slow? There could be two reasons for this, either it’s to do with your water quality or water pressure. In harsh or problem water areas where the water quality is questionable, the water filter cartridge will fully load with impurities in a shorter period of time. The filter is still doing its job of removing impurities but you’ll just have to change the cartridge more frequently. If the system is not in a problem water area then it could be to do with the water pressure in your region. Filter systems need good water pressure to enable the water to be forced through the filter media. If incoming water pressure is low to start then the flow will be slow. Please note that the water filter systems will not work within a gravity fed system. Q. My filtered water has stopped coming out of the tap all of a sudden. What’s wrong? Either the cold water is turned off under the sink or the cartridge is fully loaded with particles. Do you have any building or council works going on in you area? Sometimes if the council are clearing pipes or laying new pipes, they can allow large waste deposits into the water lines and this will clog up the system with dirt or particles. Call WFA or your plumber. Q. My water filter is leaking. Please shut off your system and call WFA or your plumber. Q. How easy is it to install my new water filter system? 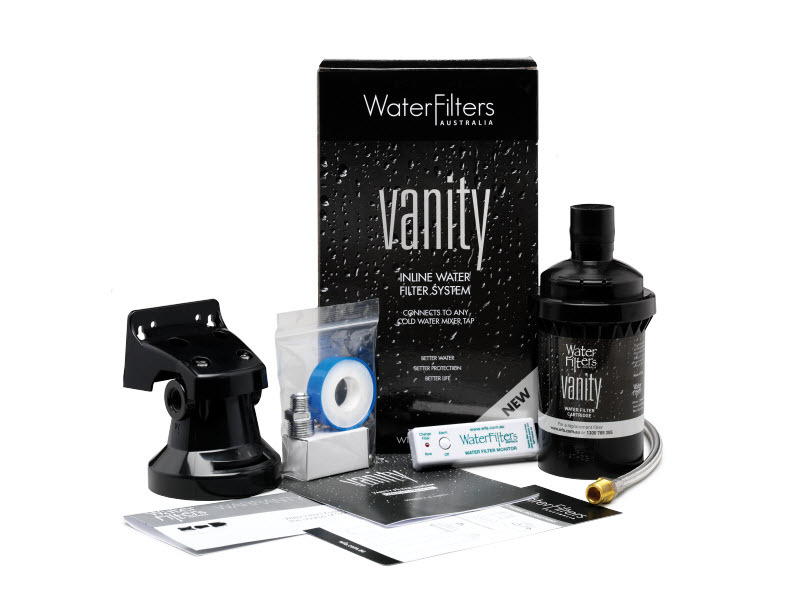 Our WFA water filter systems are designed for easy installation. 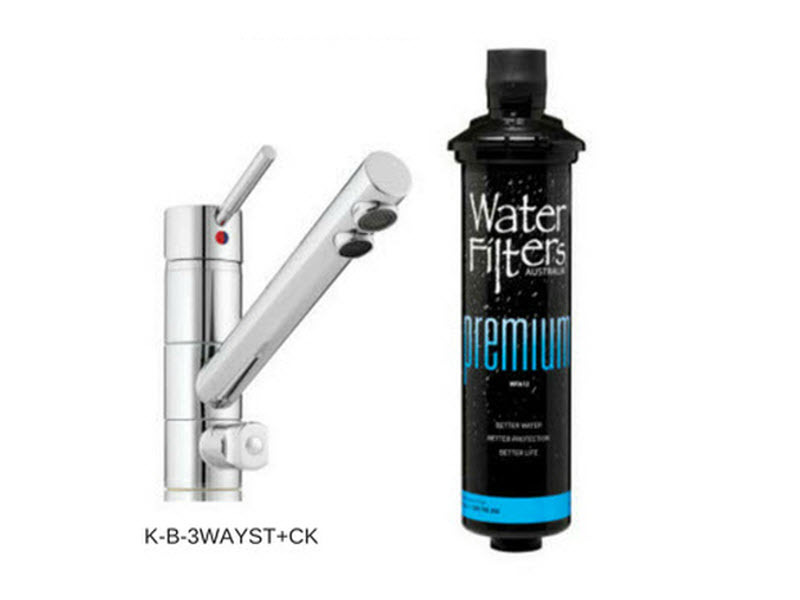 Our WFA Platinum inline water filter system is particularly simple. 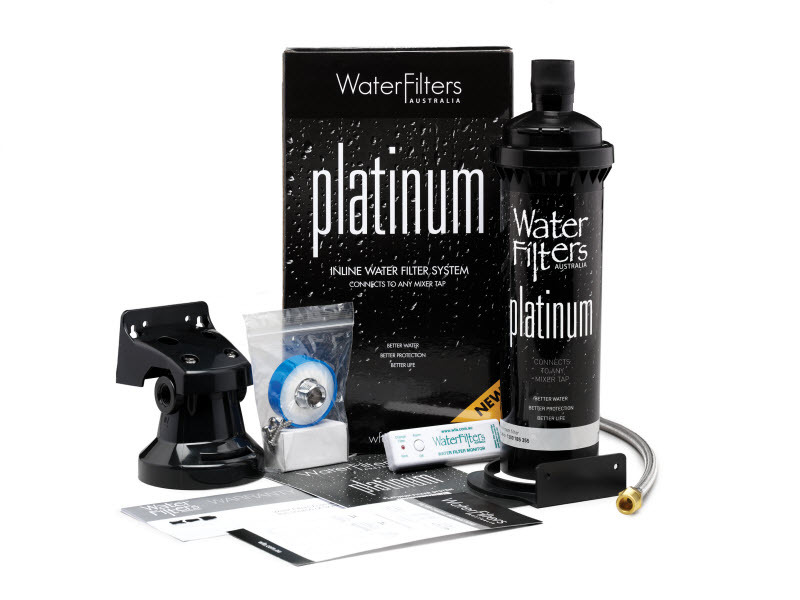 Watch this video How to install a Platinum Inline Water Filter system. Q. 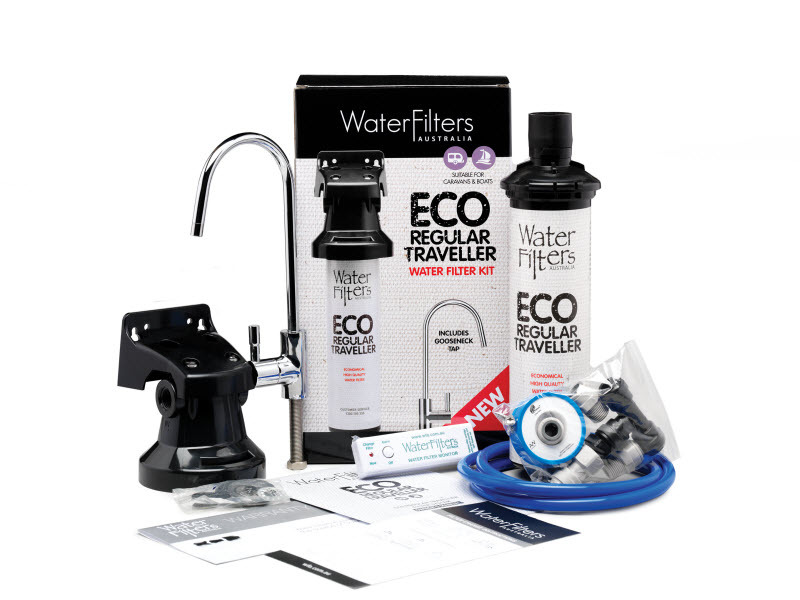 Can I change my WFA water filter cartridge myself? Yes, our WFA cartridges are designed for easy DIY changes with bayonet fittings and can be done in a few minutes. Check out our easy ‘how to’ videos. 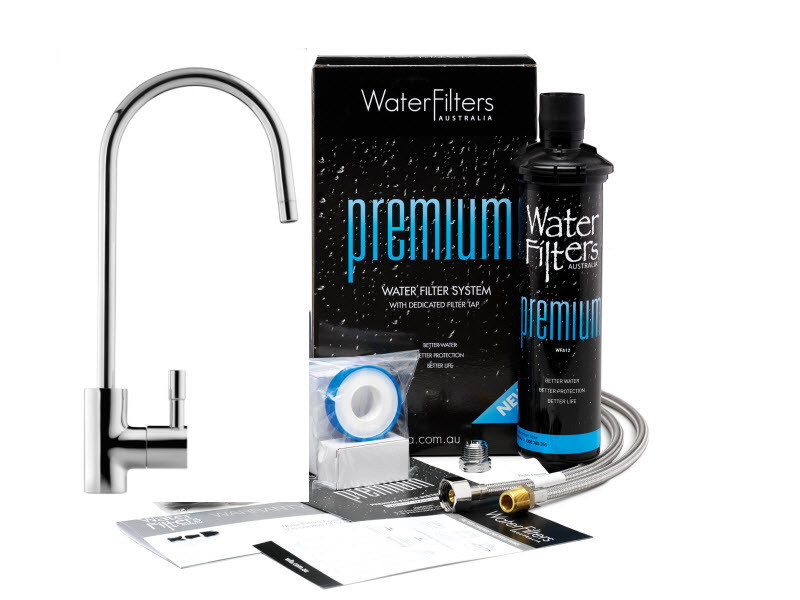 How to change a Platinum water filter cartridge. Q. Does the water filter remove fluoride? 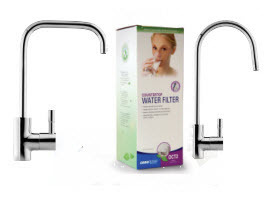 No – our water filter systems do not remove fluoride. Q. If I store filtered water in my fridge it tastes and smells funny? Filtered water will absorb the odours in a fridge. The cleaner the water, the more odours it will absorb. When storing filtered water in a fridge, make sure that the container is sealed. Q. Can I connect the water filter to my fridge? Yes. Simply install a “tee” section in the filtered water line so that one line goes to the tap and one goes to the fridge. Q. What if I move house, can I take the water filter with me? Yes you can. Simply turn off the water supply at the chrome isolation valve, unscrew the unit and have it re-installed by a plumber in your new home. Q. What about the hole in the sink left by the tap? An easy solution is to buy a stainless steel button from your local hardware store. This will neatly cover the hole. 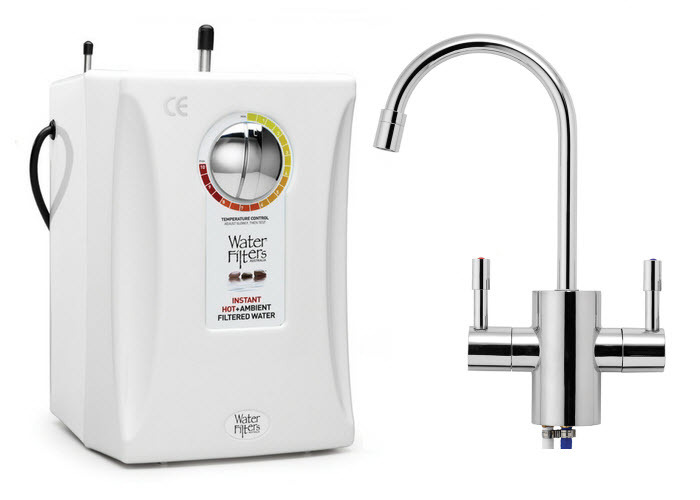 Q. I bought a water filter system at Masters, what happens when I need to replace the cartridge? No problem. We will continue to supply the cartridges for these systems. Just contact us on 1300 785 355 or shop online for your replacement cartridge. Q. Are your water filters certified? 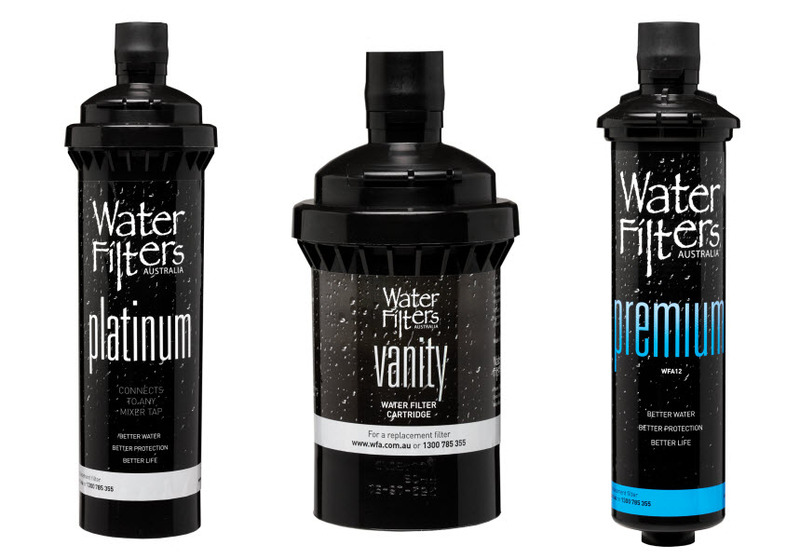 Yes all our WFA water filter cartridges are systems are NSF and WaterMark certified. Read more about our quality guaranteed. Q. I am purchasing a water filter online. How much will postage cost? We use the courier company Sendle for all deliveries Australia-wide. Delivery costs are a flat rate calculated on the delivery postcode. So you can order as many items as you like and pay only one flat rate postage fee. Please allow 4-5 business days for delivery. Read more about our shipping information. Q. How do I change the filter head assembly myself? This can be done with a few basic tools. All you need is a Philips screwdriver and a very sharp knife. Please read the attached document.